The aortic valve is located between the left ventricle (the heart’s main pumping chamber) and the aorta (the main artery in your heart). When the ventricle contracts, the aortic valve opens and allows the blood to flow into the aorta. If the aortic valve does not work properly, it can cause problems with your blood flow and the way your heart works. Aortic valve replacement aims to treat aortic valve diseases and preserve the function of your heart muscle. Recovery time depends on your overall health prior to surgery. In general, recovery time can last 4 to 8 weeks. Back to the office: 6-8 weeks. Back to physical work: up to 3 months. Below average prices for aortic valve replacement surgery. Costs depend on the type of valve used, your physical conditions and where you choose to have treatment. The aortic valve is one of the four valves of the heart, along with the mitral, pulmonary, and tricuspid valves. The heart is responsible for pumping blood throughout your body. The valves allow it to do this by opening and closing to keep the blood flowing in the right direction. Before getting to the aortic valve, the blood first goes through the other valves, atrium, ventricles, and lungs. The aortic valve first closes off the lower left ventricle that is holding oxygenated blood before it’s pumped out to the body. It then opens to allow the blood to leave the heart, passing into the aorta and the body. The flaps of the valve, or the parts of the valve that open and close, are called leaflets. Healthy leaflets are flexible, well-formed and will open all the way to allow the right amount of blood through. It will then close tight enough so that no blood leaks back into the lower left ventricle. Failing to open all the way is called aortic valve stenosis. Failing to close tightly is aortic valve regurgitation. When the blood flow is compromised due to aortic valve stenosis or regurgitation, the heart has to work harder to supply the necessary blood to the body, resulting in the outward symptoms people experience. Some people may not show any symptoms or signs at all. For some people, symptoms can come on suddenly and severely. For others, symptoms will come about gradually so it’s important to track them when you notice them. Symptoms can include chest pain, fatigue, lightheadedness, shortness of breath, irregular heartbeat (arrhythmia), loss of consciousness (syncope), or heart failure. Valve disease may also lead to sudden cardiac death, even without causing any symptoms beforehand. What types of aortic valve replacement procedures are there? Depending on the severity of your condition, your doctor may first try to repair the aortic valve to preserve your valves and leaflets before replacing it. Aortic heart valve repair is usually preferred because there is a lower risk of infection, it preserves the strength and function of the valve, and also makes it less likely that you need to take blood-thinning medication for the rest of your life (which is necessary with certain types of valve replacements). People that have a hole in one of their leaflets could be a good candidate for valve repair depending on the severity of their condition. However, not all valves can be repaired and valve repair surgery can sometimes be harder than valve replacement surgery. The specific procedure used will depend on the severity of your condition and whether you are actively experiencing symptoms or not. During an aortic valve replacement procedure, the surgeon will remove and replace your aortic valve with a mechanical or a biological valve. Mechanical valves are made from carbon, metal, or plastic. They last long but have a higher risk of causing blood clots. This is why patients who receive a mechanical valve will have to take blood thinner medications for the rest of their life. 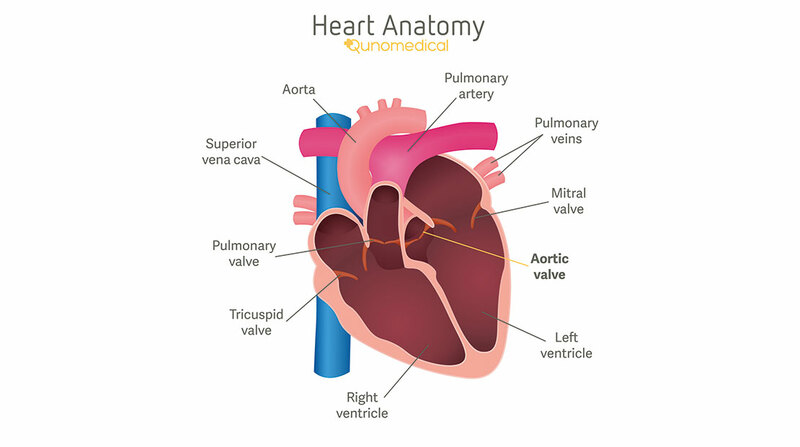 Biological valves are typically made from cow, pig, or human heart tissue. On average, they last 10 to 20 years. There are two main techniques used to perform aortic valve replacement surgery: through a traditional open-heart surgery or minimally invasive methods. 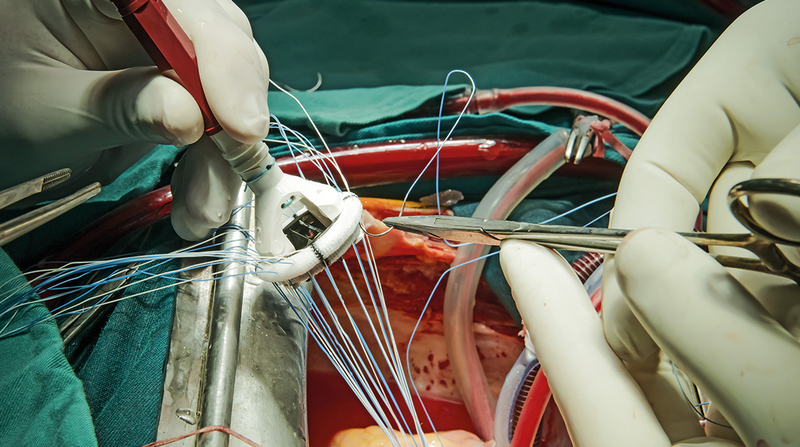 Open-heart surgery is the most commonly performed procedure for aortic valve replacement. Your doctors will split open your breastbone with a 6- to 8-inch (or 15 to 20 cm) opening. They will then stop your heart and hook it up to a heart-lung machine, which will take over the job of your heart during the operation. The damaged aortic valve is taken out and replaced with a new one. In the last step, your heart will be restarted and your chest closed up. 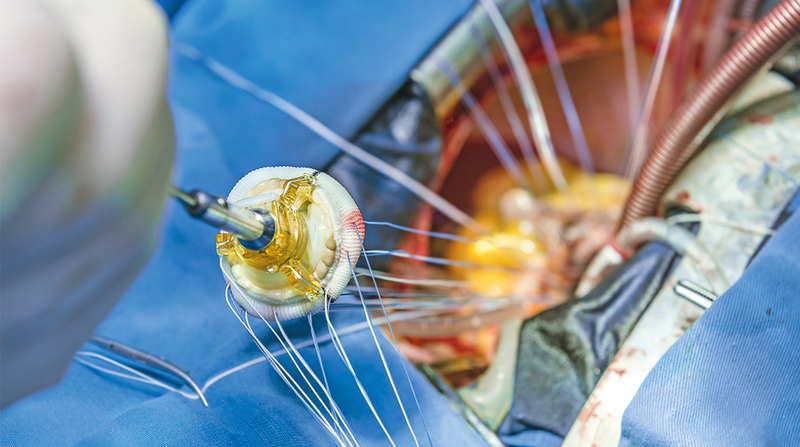 Transcatheter aortic valve replacement (TAVR) is a nonsurgical, minimally-invasive aortic valve replacement procedure. It is sometimes also referred to as Transcatheter aortic valve implantation (TAVI). The valve used for this procedure is usually biological. This procedure may be an option for people who have a biological tissue valve that is not functioning well anymore or if you are considered to be at intermediate or high risk of complications from surgical aortic valve replacement. The surgeon will access your heart through a small incision in the chest, or a blood vessel in your leg (usually through the femoral artery, located in your groin). A hollow tube (or catheter) will guide the compressed tissue valve through your arteries (or vessels) until it is positioned inside the aortic valve. At this point, the valve is expanded to secure it into place. The surgeon will remove the catheters and close the incisions. What should I expect after aortic valve replacement surgery? After the procedure, patients typically spend one week at the hospital. You will spend the first day or more in the intensive care unit (ICU). Hospital stay and recovery in general depend on your overall health, your age, and the type of surgery performed. If you underwent open-heart surgery, it may take 6 to 8 weeks for your breastbone to heal. You may experience loss of appetite, and you may find it hard to sleep. Your wound may be sore and you will get tired easily. These initial symptoms are normal part of your recovery and they will subside over time. You may feel back to normal up to 3 months after surgery. Your doctor may recommend you follow an exercise program or cardiac rehab to ease your recovery. You will discuss with your doctor what type of aortic valve replacement surgery is best for you, and what type of valve will work in your case. You might need to stop taking your regular medications before surgery. Inform your doctor accordingly. Do not drink or eat anything at least 8 hours prior to your surgery. You will be administered anesthesia so you will be unconscious during the procedure. You will receive instructions for your recovery, such as to walk regularly and gradually increase your activity, and do breathing exercises. Make sure you follow your post-op guidelines to ensure a smooth recovery. Take medications as instructed by your doctor. Watch signs of infections in your incisions. Do not drive for 4 weeks after surgery. Do not lift heavy weights for 4 weeks.